Motherboard manufacturers used to be content in adding a couple of extra features above and beyond a particular chipset and releasing a board quickly, but the last five years has seen the bigger names develop lots of in-house technology, necessary to differentiate their products from competitor boards whose baseline performance is similar. Opting for, say, a Gigabyte board means that you literally buy into a style and feature set specific to the company. Nowadays certain ranges encompass multiple chipsets, so it's a case of liking the 'Gaming' line-up and then choosing a board to fit your budget. A clear example of motherboard branding rests with the Gigabyte Gaming line. Usually equipped with striking looks and complemented by gaming features such as improved audio and traffic-prioritising LAN, these Gaming boards have, in the past, offered a very sensible mix of price versus features. 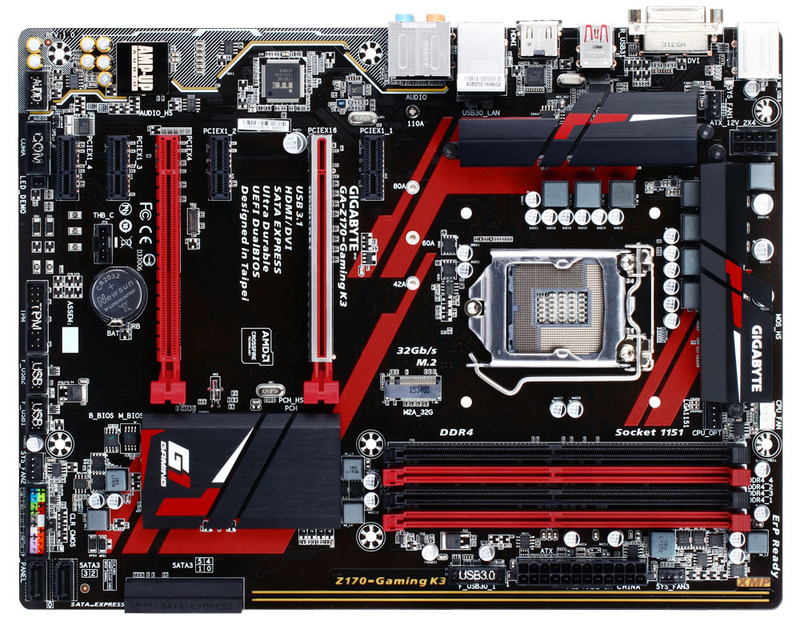 The latest in a burgeoning line is the Z170 Gaming K3. Outfitted with a few novel features yet still keeping price the right side of £100, let's put the board under the microscope. First impressions are positive. The board is a little narrower than full-ATX, at 23.1cm, but doesn't suffer from being cramped. We like how Gigabyte has removed a lot of the extra, superfluous writing on the board to leave a cleaner aesthetic. We're fans of the overall style, too, and reckon the red-and-black scheme works particularly well, though do be aware that it's not part of established, dearer G1 range. Lots of space around the CPU cooler makes mounting our high-end Noctua a doddle. The heatsinks, meanwhile, aren't the most robust we've ever seen but should be more than capable of keeping the underlying VRMs cool at reasonable speeds. The four DIMM slots run memory at up to 4,133MHz from a standard 100MHz clock; you'll run out of frequency headroom before the board gives out. Five fan-headers are sensibly mounted around the board. Storage is also sharp. SATA Express is supported alongside the usual ports from the Intel southbridge, in a four-block combination alongside two rotated ports on the left. The middle of the board is home to a fast M.2 port which supports drive PCBs up to 110mm long. 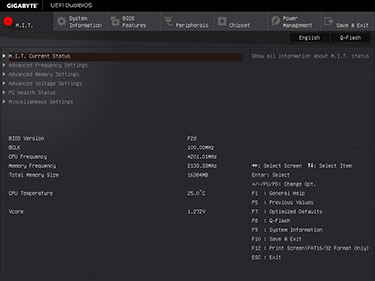 M.2, in this instance, can run drives based on either the SATA or preferred NVMe protocol at x4 PCIe 3.0. We say preferred because plugging in a SATA-based drive removes the potential of SATA Express. So is this just a good-looking board riding solely off the Intel chipset? Not quite, as the two yellow strips running from the SATA connector light up a rather nice red. The effect isn't overdone and is matched on the far side by a strip of red around the audio. 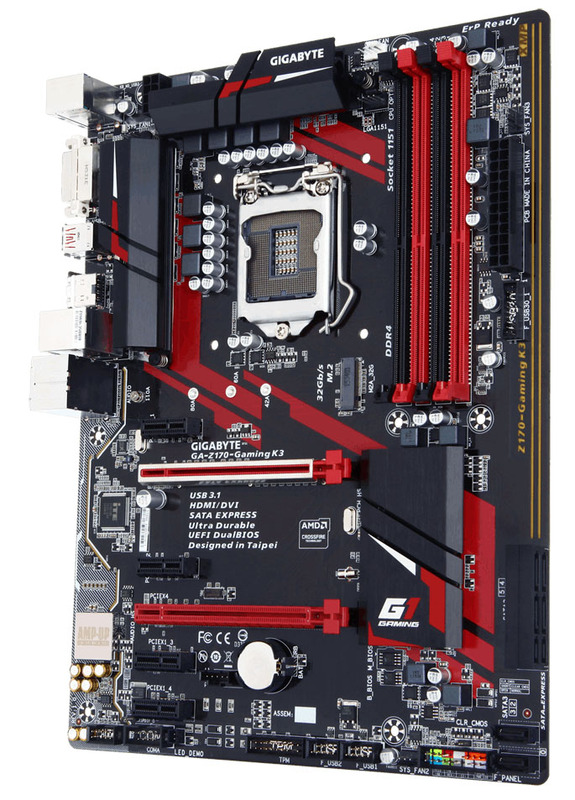 Speaking of which, Gigabyte continues to go with the ALC1150 that's popular of late. Two other features are a departure from an all-Intel setup: the Killer E2201 gaming-focussed LAN and, due to the chip giant dragging its I/O heels, an ASMedia controller offering USB 3.1. One of the reasons why the K3 appears so clean on first glance is the lack of PCI slots. Instead, four PCIe x1 surround the well-spaced PCIe x16, and the primary slot benefits from extra rigidity via a brace. Though it's difficult to comment on the long-term benefits of using such an approach, installing a Radeon HD 7990 and wiggling the board around shows less flex than on the secondary slot. And, most likely due to keeping the cost below £100, the K3 supports AMD's free-to-use CrossFire technology only; Nvidia's SLI license has additional outlay for a manufacturer. Note that using two Radeon cards forces the board to run at x16/x4 speeds. It's a modern motherboard at the back. USB 3.0 is sandwiched between the two red USB 3.1 Type-A ports, but there's clearly no space for the smaller Type-C that's becoming increasingly popular. A further two USB 3.0 are available from a header next to the main 24-pin connector. DVI and HDMI remain sensible output choices for the onboard graphics. The BIOS is reflective of the board. Gigabyte doesn't try to overcomplicate matters with the latest iteration of the full-HD BIOS. 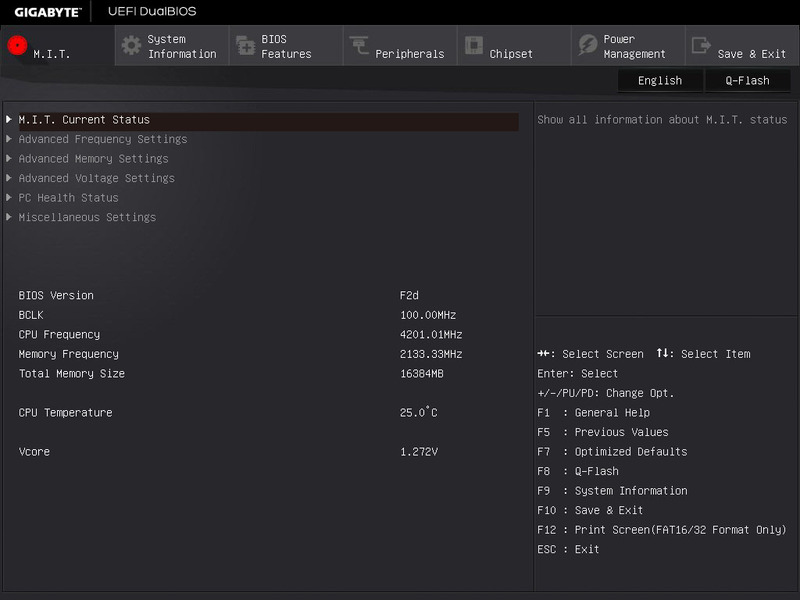 Rather, this UEFI version is smooth and fast to navigate around. 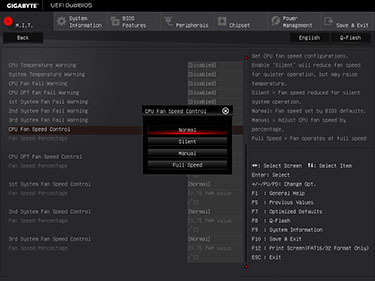 Our only criticism is that the fan-control settings aren't as robust as on the latest Asus or MSI boards, and the method of overclocking takes a little longer than on competitor boards, too.